This year on the blog, I'm starting a little series I've been thinking about doing for a while. Every so often, on Tuesdays, I'll be posting "Travel Tuesdays," where I hope to share a travel-related post. I know it won't be every Tuesday, but I'd like to do one at least once or twice a month. Travel-related posts are some of my favorites to write, because I love looking back at places we've been and those moments we've shared and experienced together. I love seeing and exploring new places, and hope to share all of my past and present experiences with you all. You may have already seen my Travel Posts page (also located on my sidebar), which I continually add to each time I travel to new places. I'll be adding posts from this series to that page, too. So if you miss one, you can go back and view them all on there! 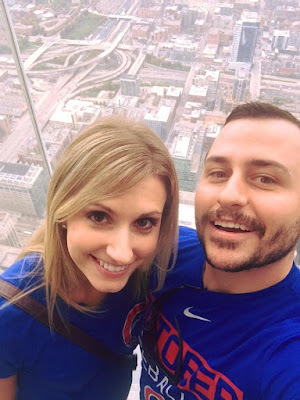 For my first Travel Tuesday post, I've decided to share some fun things about one of my favorite cities to visit: Chicago. Since I live in Illinois, about 3 hours southwest of Chicago, it's a fun weekend getaway that we like to visit at least a couple of times throughout the year. If you're a Cubs fan like us, or even if you're not, it's always a good time seeing a game at Wrigley. It's one of the most historic baseball fields, and the Cubs have a great team right now! 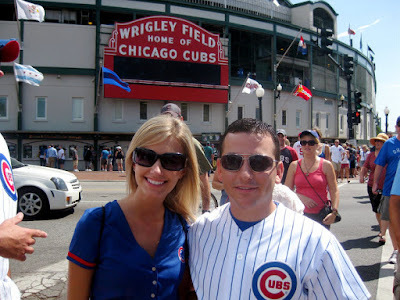 We've been to several Cubs games here, and it's always so much fun. Apparently Navy Pier got a brand new ferris wheel last May. I haven't ridden the new one yet, however the old one was pretty cool. 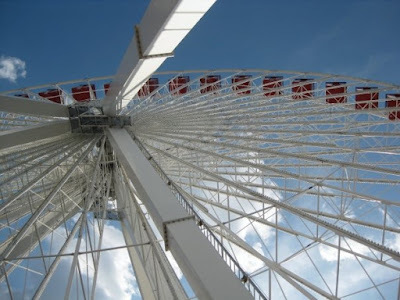 Riding the ferris wheel is a must if you go to Navy Pier. It's pretty iconic and looks out onto Lake Michigan. 3. See Cloud Gate, aka "The Bean"
This might be one of the most photographed places in the city of Chicago. Tons of people crowd around to see what we lovingly call "The Bean," in Millennium Park. 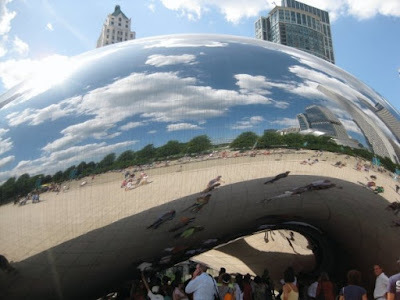 Though it's true name is Cloud Gate, this statue is literally shaped like a Bean, and it's reflective surface lets you not only see own reflection, but the reflection of the sky, too. Pretty cool! In 2016, I finally got to go up in Willis Tower, or "The Sears Tower," as most of us still call it. Though it is a lonnggg wait to get up to the top, when you finally get up there, it's totally worth it. And posing for a picture on the "The Ledge" is a must, once you're up at the top. 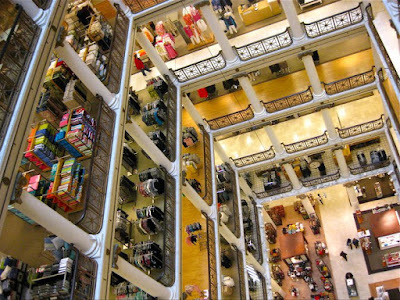 Ah, the shopping. There's a reason this street is called the "Magnificent Mile." With Nordstrom, Bloomingdale's and tons of specialty shops, you won't be disappointed if you come here to shop. 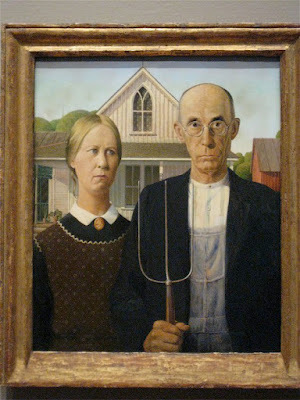 The Art Institute of Chicago is home to some of the most well-known paintings in the world. I finally got a chance to see it back in 2010, and it was so surreal to stand in front of these iconic works of art. From Grant Wood's American Gothic, to Seurat's A Sunday on La Grande Jatte, and artists from Rothko to Pollock to Van gogh and Monet are showcased here. An amazing collection! 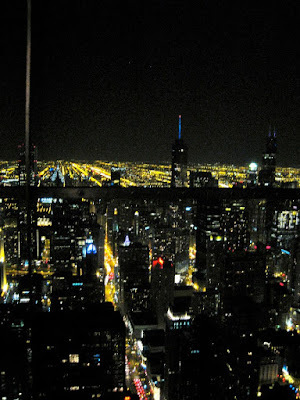 A few years before we went up in the Willis Tower, we went up to the John Hancock Center observatory. 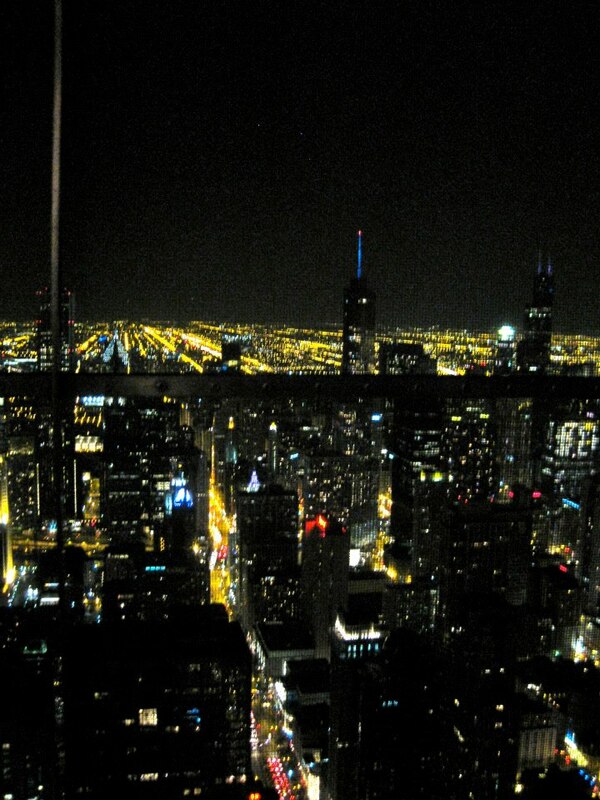 It was at night when we were there, so we got to see the city lit up, which was a pretty cool view. Cubs fans love and remember the great Harry Caray as one of the best announcers in baseball. There are a few different Harry Caray's restaurants in the Chicago area. We've been to one downtown, and also one out by Midway airport. The food there is great, plus there are tons of baseball memorabilia and photos on the walls to look at while you're waiting for a table, or even while you're eating. And don't forget to get a photo by Harry himself, and the "Holy Cow." You don't have to see a punk rock show like we did (We saw Hellogoodbye, Saves the Day and New Found Glory), but any show at the HOB is sure to be a good time. It has almost an intimate, theater-like feel to it. 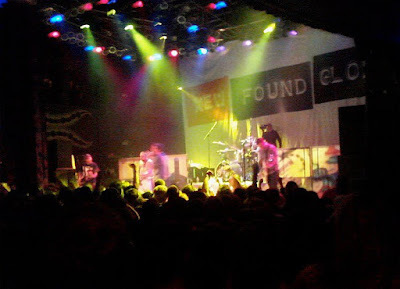 Smaller venues always end up being great shows, plus the HOB has some really cool architectural balconies inside you have to see in person. 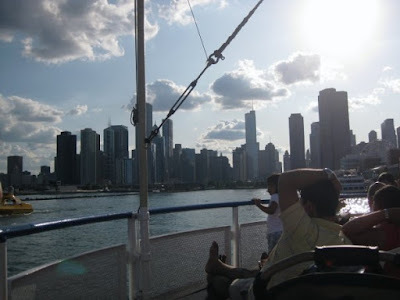 If you're a water lover, you will love cruising on a boat on Lake Michigan. There are a few different cruises to choose from on Navy Pier. You just pay for a ticket and can take the next boat ride that comes along. Besides the ferris wheel and shopping, this is another fun thing to do while spending time at Navy Pier.